We are happy to announce a new collaboration between The Centre for the History of Medicine (part of the Institute of Health and Wellbeing at Glasgow University) and the Royal College of Physicians and Surgeons of Glasgow. The new Glasgow History of Medicine Group will present a series of free seminars on medical history, medical humanities and related topics. The first two seminars will be taking place in February and March and we would love for you to come along and join us. 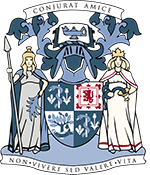 The seminars will take place in the Library Reading Room, Royal College of Physicians and Surgeons of Glasgow at 5.30pm. Coffee and Biscuits at 5.00pm. If you would like to come along please contact library@rcpsg.ac.uk or call 0141 227 3234 to book your place (places are limited).